All of the continents are known for something. Asia is the largest and most densely populated. Africa is home to the most countries in the world as well as the Nile, the world’s largest river. South America contains the Ecuadorian Mount Chimborazo, the highest point on Earth. Not only is Australia literally a country unto itself, but it is also Earth’s largest island. Europe is home to the world’s smallest country – Vatican City. North America contains every climate and is home to the world’s largest freshwater lake, Lake Superior. But wait – what about little old Antarctica, that cold place on the bottom of the globe? What is there to know about frigid barren land made of ice? The truth is that there are plenty of fantastic and interesting things to know about the loneliest and coldest continent on Earth, and here are just a few fun facts to get you started. On the southernmost part of Earth lies one huge and mysterious landmass – the frozen continent of Antarctica. With an area covering about 5.4 million square miles, Antarctica is the fifth largest continent on the planet. It is located entirely within the Arctic Circle, which means the temperatures here are persistently below zero throughout the year. But, despite its incredibly harsh weather conditions, the place is frequently visited by many scientists and explorers. For these reasons, it has been named one of the most interesting places in the world. 1. Antarctica is the largest desert in the world. 2. Antarctica is the only continent without reptiles. 3. The coldest place on Earth is a high ridge in Antarctica where temperatures can dip below -133°F (-93.2°C). 4. Some parts of Antarctica have had no rain or snow for the last 2 million years. 5. There is a waterfall in Antarctica that runs red. 6. Antarctica has only one ATM. 7. 90% of the world’s fresh water is in Antarctica. 8. You cannot work in Antarctica unless you have had your wisdom teeth and appendix removed. 9. 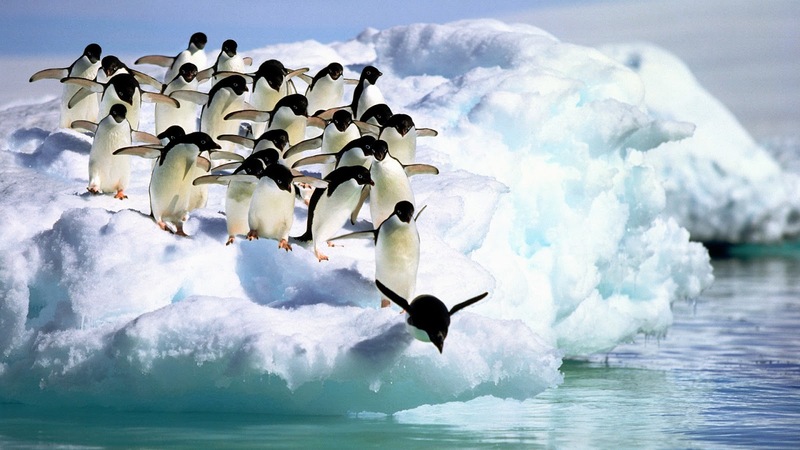 There are no polar bears in Antarctica (only in the Arctic), but there are lots penguins. 10. Antarctica is the only continent without a time zone. 11. Antarctica is the coldest, windiest, highest, and driest continent on Earth. 12. Ice melting in Antarctica has caused a small shift in gravity in the region. 13. Chile has a civilian town in Antarctica, complete with a school, hospital, hostel, post office, Internet, TV and mobile phone coverage. 14. The ice sheet of Antarctica has been in existence for at least 40 million years. 15. There are 300 lakes beneath Antarctica that are kept from freezing by the warmth of Earth’s core. 16. The highest temperature ever recorded in Antarctica is 58.2°F (14.5°C). 17. Mount Erebus is the southernmost active volcano on Earth is in Antarctica. It spews crystals. 18. Antarctica was once as warm as modern-day California. 19. There are at least seven Christian churches in Antarctica. 20. A scientist in Antarctica got a date through Tinder with a girl camping just 45 minutes away. 21. Most of Antarctica is covered in ice: less than 1% is permanently ice-free. 22. The largest iceberg ever measured is bigger than Jamaica: 11,000 sq km (4,200 sq mi). It broke away from Antarctica in 2000. 23. The average thickness of ice in Antarctica is about 1 mile (1.6 km). 24. In 1977, Argentina sent a pregnant mother to Antarctica in an effort to claim a portion of the continent. The boy became the first human known to be born in Antarctica. 25. Winds in some places of Antarctica can reach 200 mph (320 km/h).